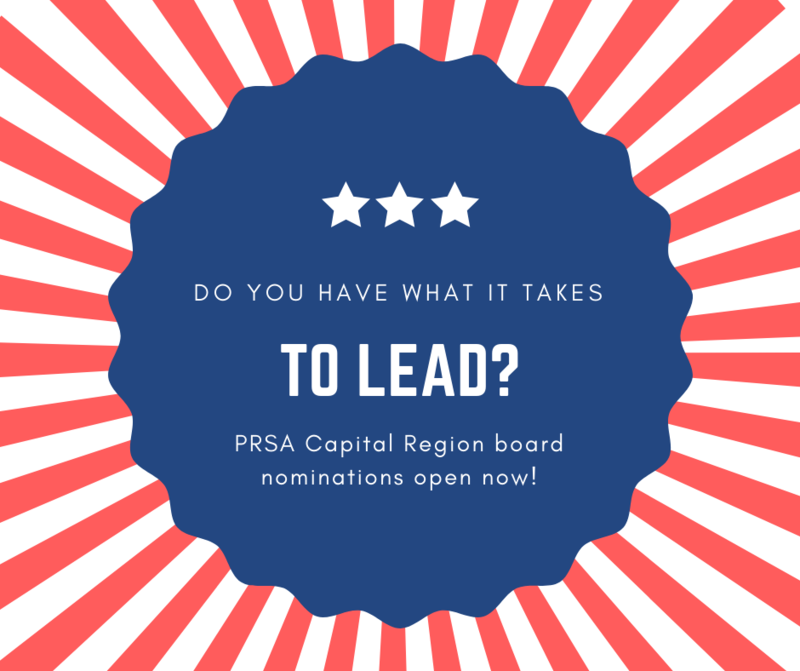 PRSA Capital Region is looking for members to join our 2019 board. If you want to promote the following values in the Capital Region PR community, consider joining the board! Send an email to Hschechter@sunrisemc.com no later than noon on Friday, October 26, 2018. Include a current resume or link to a current LinkedIn profile. Your resume/LinkedIn profile will be shared with the PRSA Capital Region membership for the purpose of voting on the 2019 board. Board members are elected to a one-year term which begins on January 1. Board meetings are held monthly, either at 8:00 a.m. or 5:00 p.m.
Board members are responsible for planning and/or promoting PRSA events, promoting PRSA membership, coordinating standing or ad hoc committees, and providing oversight and guidance for PRSA Capital Region. A link to the online voting form will be emailed to all PRSA Capital Region members on Monday, October 29, 2018. The 2019 board will be announced on Wednesday, November 28 at PRSA Capital Region’s annual meeting. The 2019 board will also be communicated via email to all members.